We’ve come a long way at ASL, evolving from a one-man production company into a burgeoning organization producing national campaigns through their talented video crew. 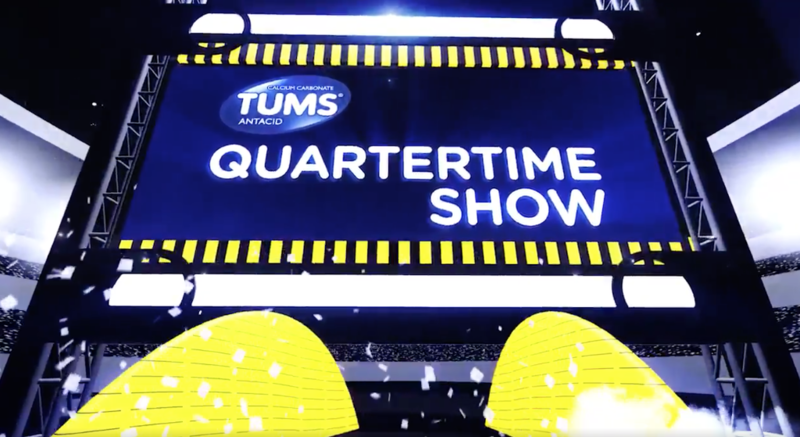 Last Sunday, we reached another milestone as Tums aired its Super Bowl QuarterTime Show on YouTube and Twitter during the big game. 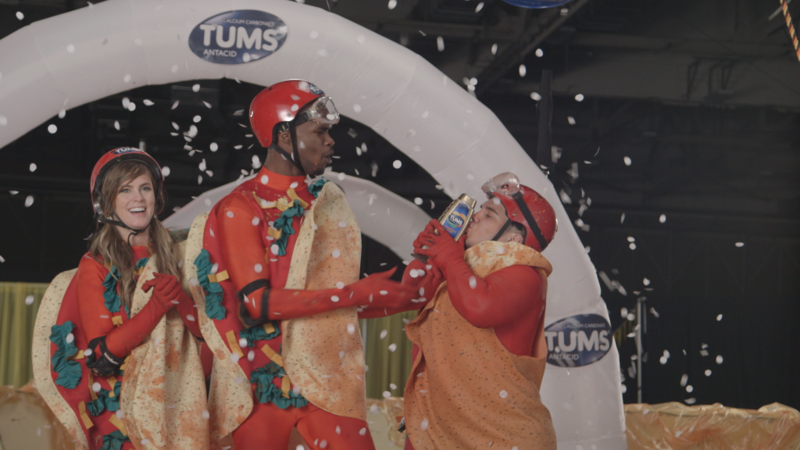 The event featured two teams of YouTube celebrities competing in a relay race, each carrying Tums tablets through a gauntlet of precarious food obstacles, while battling sinister heartburn, to administer the antacid into a giant mouth at the finish line. With only a few weeks to plan and shoot the race— and over Christmas and New Years no less—ASL was all systems go to create video deliciousness. Our video crew’s resourcefulness, a hallmark of ASL, was put to the test. 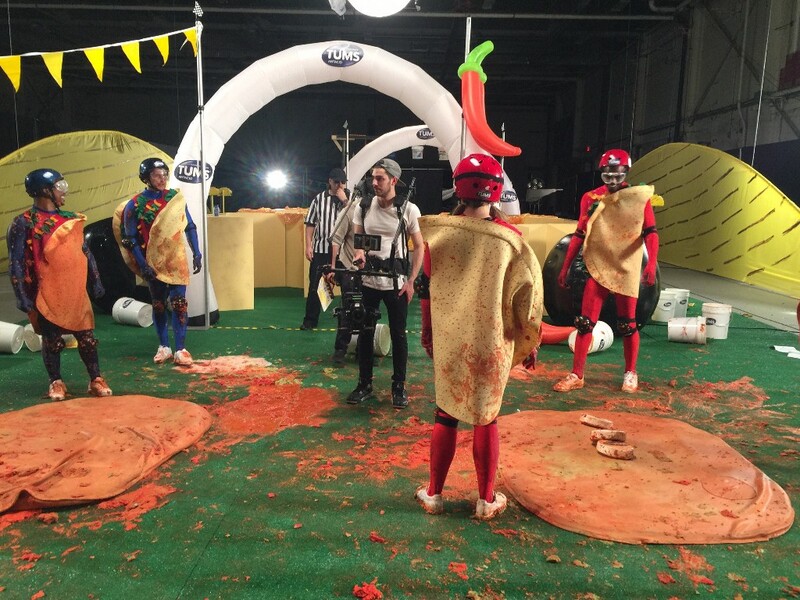 Our pre-shoot days were filled figuring out how to make enough fake nacho cheese to slime our talent, determining the possibility of building a “Mount Nacho,” and assessing other feasibilities in light of our tight time and budget. 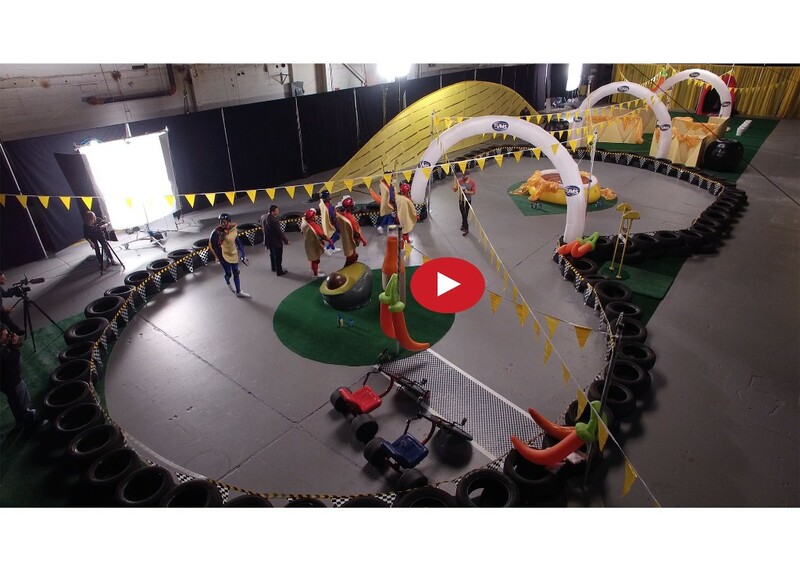 We had two days to build an obstacle course, set up lighting and hold a practice run. 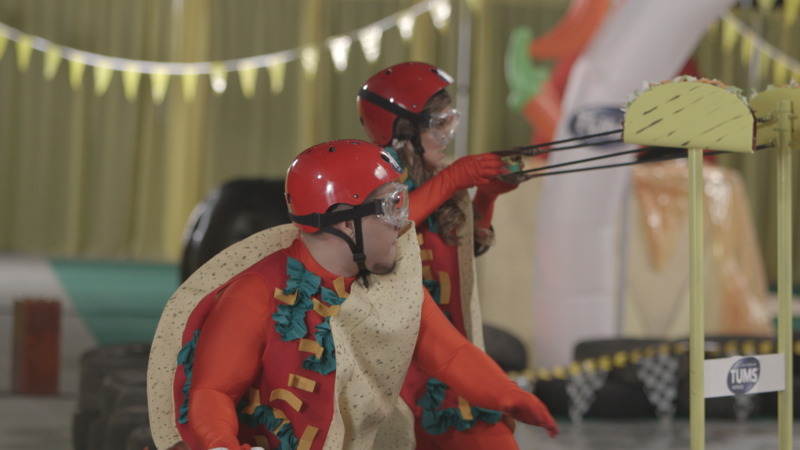 Our art department worked overtime, creating taco turrets, giant burritos, immense quantities of taco toppings, and other “ammo” for our gauntlet. Things were about to get messy. 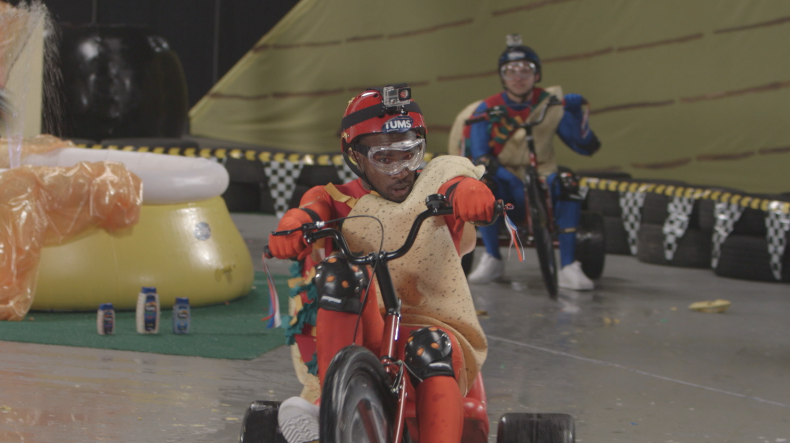 As game day approached, our obstacles were set: a figure-eight tricycle race outlined with tires during which competitors had to avoid taco pinatas and water balloons being fired from the sidelines by competitors. From there, competitors navigated a maze of nachos while wearing giant bubble balls with limited visibility. 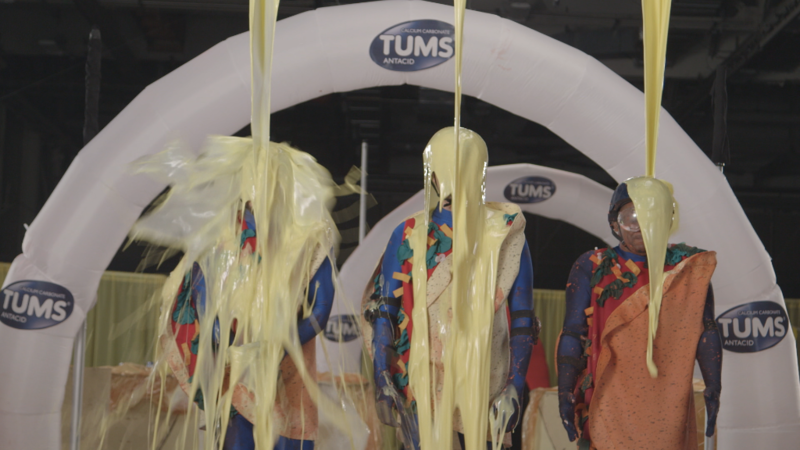 And finally, contestants had to find a Tums tablet hidden among five buckets of fake burrito toppings, which were poured onto a teammate, who was then rolled like a burrito before diving across the finish line. 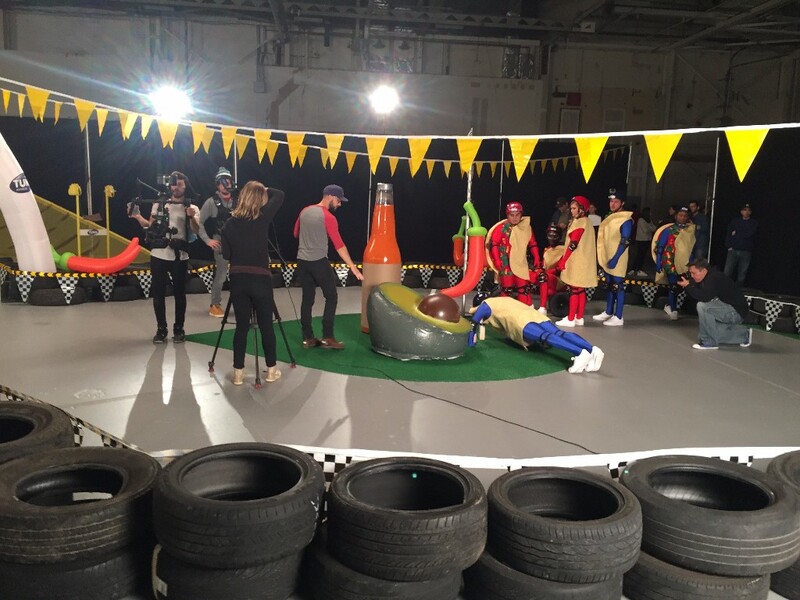 In the end, a video crew of over 30 that included an amazing props department, 11 different camera angles, drones, jibs, and helium balloon lighting brought it all together. It was an amazing experience for ASL, and we can’t wait to work on our next project with Tums. ASL produces much more than just Tums’ SuperBowl campaigns. Don’t forget to check out our video catalog and read our blogs at ASLProductions.com where we can create video opportunities for your next endeavour. ASL is here For All Your Video Needs. Keep in touch by emailing us at contact@ASLProductions.com, or get social on Facebook, Twitter, Instagram or our website @ ASLProductions.com. Thank you for your time and let’s tell a great story together!